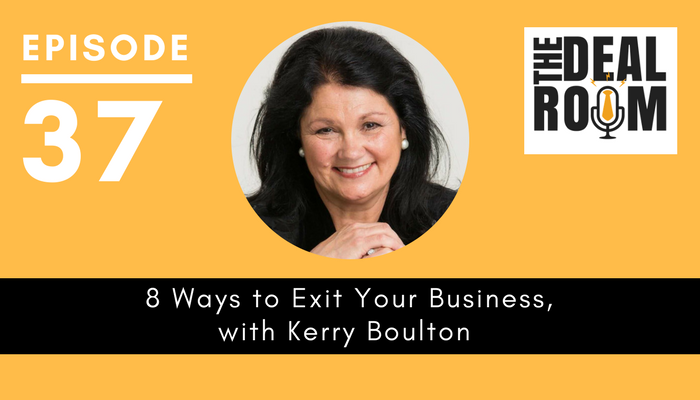 We’re bringing back on the show Kerry Boulton, the CEO and founder of The Exit Strategy Group, to talk about the pros and cons of eight different types of business exit channels. 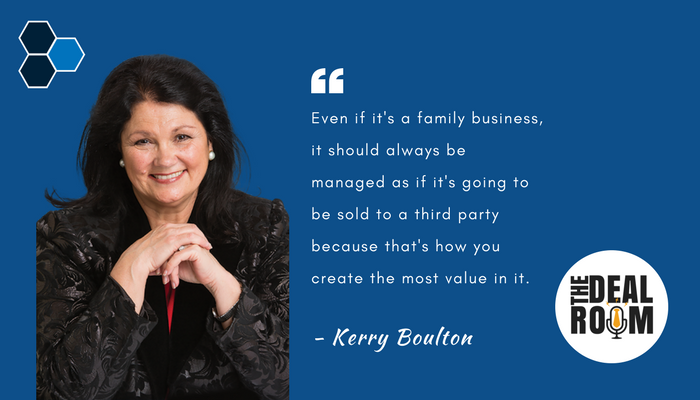 So many of our businesses in Australia are family businesses, and this is definitely something that is pretty much top of mind for a lot of family businesses. If it hasn’t been openly discussed and worked on for a number of years, then it can be fraught with danger. If there’s assumptions that aren’t addressed, then you are definitely in dangerous territory. Even in family businesses, selling to a third party should always be an option on the table no matter what. You never know when, as Kerry Packer did when he sold Channel 9 to Alan Bond, you never know when the Alan Bond might come along in your lifetime. So be ready. Even good strong viable businesses, if they’re not managed for sale, you often won’t get what it’s really worth. The notion of actually treating all of the children equally could be very difficult. Inevitably one child will probably run or own a business at the perceived expense of the others. Usually, the family can’t afford to meet a large cash payment so when selling to a family member, you would probably have to live with payment over time. Any associated risks if the business doesn’t continue to run profit profitably. The owner doesn’t relinquish control. They still find the need to keep their finger on the pulse, which again can stifle future growth. There’s a discussion that must happen around A) how can we come together on what we believe is the right value for the business; and B) how can we afford to pay you out? In terms of transferring ownership to family members, it’s really important to start talking about it early on and making sure that you do have the right person in place to be able to do that and address the other attendant potential conflicts that might arise in the future. If you’ve been well prepared and you’ve set it up with a buy-sell agreement which sets out what’s going to happen if one or more shareholders want to leave the business, then it really makes it a lot easier. Trying to work out what the terms would be on sale feels very difficult at the beginning, but it can often be a hell of a lot more difficult if you don’t do it at the beginning. It just gets harder if you don’t do it upfront is my experience. A very well-prepared shareholders agreement can easily facilitate the transfer process. 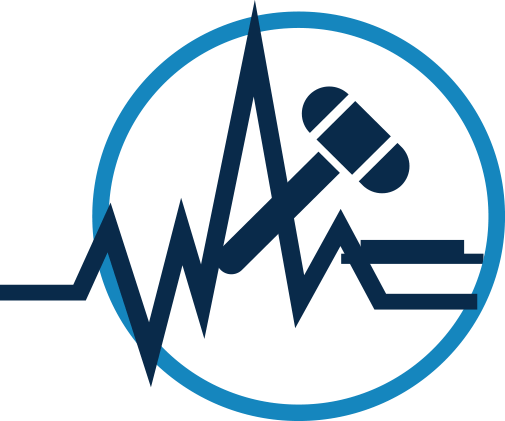 The process of due diligence is very much reduced because they know what the business is about so there’s little or no disruption to the business. If you don’t have a shareholder’s agreement in place, it could be a very difficult negotiation and it might force you to take a price that’s actually not really reflective of the company’s fair market value. If you’re locked into selling your shares only to say a fellow shareholders, it could create a limited market and thereby depress the company’s value. It might also depend on how it can be funded. As the selling shareholder, you might have to take a note and you have some of the money still in the business so that the business can pay you off over time. There could be a disadvantage to you when considering that sort of arrangement. It does make that transfer process a lot easier. You don’t have to go out. There’s less risk usually in that sort of situation because the management is not disrupted. They can continue to carry on the way that they’ve always done so it makes for a very smooth transition and very little disruption. Also, that sort of partnership with an equity investor can provide additional growth capital that you might not otherwise have for the company. You may not necessarily be exiting totally. You’re just exiting a portion. You’re selling a portion of that business. It could be that a lender might need everybody to contribute a certain percentage in equity and maybe that could be a problem if you’re talking about selling off a portion. If in fact the management team needs other external financial help to be able to actually fund the acquisition, then that could result in certain conflicts. If the company doesn’t have perhaps sufficient assets to be able to leverage any finance that might be required, then that could create an issue. You really would need to be of a certain size to be able to consider taking this on because it is quite a long-term approach and there are many issues to consider. You clearly need to be making good profits to be able to make this attractive for employees to even want to have anything to do with the business. With a bit of luck, you will be able to make them think like owners rather than employees because there is a different psyche involved in that. Certainly, from a taxation perspective, there are benefits that you’d need to have a look at. The way our tax system changes though. They change fairly regularly so you have to keep on top of it. Make sure that you’ve got several years of financials that show really good profits and growth. You don’t want to present financials that have got questionable numbers in there. They need to be really nice and clean. Selling to a third party is just finding a buyer. They could be a competitor. They could be a customer. They could be a supplier. You’re going to receive the majority of the purchase price in cash at the time of closing the sale. Usually, because of natural market forces, you’re going to get a higher valuation than if you were selling internally to family or management. Potentially, it is the only exit option that gives you access to buyers with a strategic or synergistic motive. You might have to stay on for a while. If you haven’t approached it in the right way, then you are potentially leaving some risk. Most small to medium businesses don’t look very much at their capital strategy. If you want to grow your business, recapitalising means finding ways to fund the company’s balance sheet through being able to grow the business. You could leverage your assets if you like. You might have some sort of debt arrangement that can provide some partial liquidity for you. But you really are looking at a growth strategy as well. You’re exiting and getting some of your capital out in order to continue to grow the business. If debt is used to create liquidity, then the increased leverage or debt burden might actually affect the company’s performance and it might make it a little riskier. You might have to give personal guarantee as well, to accomplish what you want to achieve. But that certainly exposes you to risk. The lender might not live up to their end of the bargain and so that puts you under a lot of pressure that you didn’t really need to have. It will definitely give you additional capital. It’s a very expensive process to go through, but it certainly creates liquidity for you. You’ll certainly have a higher profile than private firms. It’s a way of being able to offer your employees some shares that can be liquid. Although depending on the size of the business, that also can have some hooks on it as well. Valuation multiples for public companies are significantly higher generally than multiples paid for similar private companies. If you’re of a certain size, that is the ultimate in terms of being able to take some money off the table and create liquidity around your equity in the business. It’s definitely worth considering. But you really do need to be doing 10 to 40 million and be able to be churning at least 3 to 5 million dollars on the bottom line. It’s certainly not an option that’s available to a lot of private businesses. If you are in a business that has physical assets that can be liquidated, and the value of those physical assets is greater than the amount of profit that you’re making, then obviously liquidating the assets is the best way to go. But then again, if you don’t have physical assets or intellectual property assets that you can sell, then spending time to actually create value and grow the business and make it saleable is well worth investing some time and effort in. Check out our earlier episode with Kerry, where she talks about her experience purchasing her first business through a management buyout and the importance of having an exit plan.